RAPAPORT... 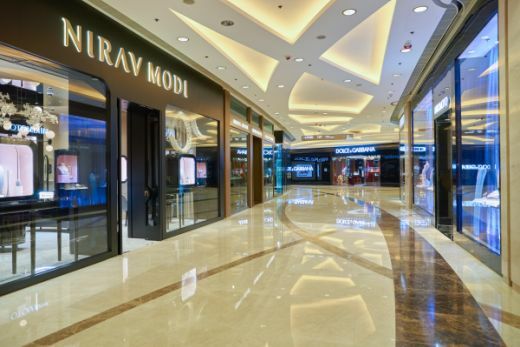 The trustee for Indian fugitive Nirav Modi’s US assets will auction inventory and intellectual property belonging to his US jewelry businesses in the coming months. Over $15 million in diamond jewelry from Firestar Diamond and Fantasy, as well as $1 million in loose diamonds, will be up for bidding, according to a statement by Donald Palmieri, a gemologist and appraiser to the trustee, Richard Levin. The sale also includes “dozens” of trademarks, including the widely used “Diamonds Are a Girl’s Best Friend,” and patent rights for various diamond cuts, Palmieri said Wednesday. The two companies, along with a third US-based Modi company, A. Jaffe, filed for Chapter 11 bankruptcy in February shortly after Indian authorities began a fraud probe into the tycoon’s alleged involvement in a billion-dollar bank fraud. In August, a court-appointed examiner determined that all three US businesses were directly involved in the fraud. Liquidators will hold four sales in New York for available goods. Intellectual property and associated inventory will be auctioned on September 26, and loose diamonds and diamond jewelry will go under the hammer on October 3 and 4, and on an as-yet-to-be-determined date. Goods can be previewed by special appointment prior to bidding.